It is often stated that Foucault never returned explicitly to the topic of heterotopia after his 1966/67 accounts of the concept. However, here and there, he did conjure up spaces that might be described as heterotopic. An example can be found in a short text ‘The simplest of pleasures’ – first published in Le Gai Pied in 1979 – in which he reflects somewhat playfully on alternative spaces for contemplating suicide. ‘…. without maps or calendars where you can enter into the most absurd decors with anonymous partners to look for an opportunity to die free of all stereotypes. There you’d have an indeterminate amount of time – seconds, weeks, months perhaps – until the moment presents itself with a compelling clearness’. Such a space ‘would have the shapeless shape of utterly simple pleasure’. What makes such a place heterotopic? Like most heterotopias mentioned by Foucault, the place disturbs or intensifies the usual sense of time. Prisons, cemeteries, fairs, ships, libraries, theatres all do this in different ways. Foucault invents a distinct term ‘heterochronias’ to identify spaces that involve ‘temporal discontinuities’ [decoupages du temps], but in a sense all heterotopias are thoroughly chronic. In this instance, a place ‘without calendars’, involving an ‘indeterminate amount of time’ to contemplate our absolute temporal break, a moment out of time, without comparison, deserves our utmost attention. Foucault, M. (1996)  ‘The simplest of pleasures’ in Foucault Live: Collected Interviews 1961-1984, ed. S. Lotringer, trans. L. Hochroth and J. Jonhston, New York: Semiotext(e) 196-99. 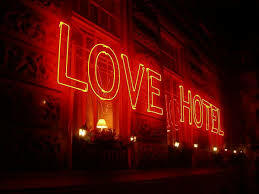 In Angela Carter’s short story ‘Flesh and the Mirror’ the narrator recounts a visit to a ‘love hotel’ in Tokyo where she makes love to a young man she had met by chance. The hotel room has a mirror covering the whole ceiling which enhanced a sense of anonymity through an annihilation of ‘time, place and person’. It reflected the essence of chance embraces where the two became mere ‘ghosts’ of themselves’. 50 years ago today – Les hétérotopies – bon anniversaire! 50 years ago today Foucault gave a talk in Paris to a group of architects [Cercle d’études architecturales] in which he outlined for the third and final time his thoughts on heterotopias. The talk eventually published in 1984 became the most well-known account of these perplexing different spaces. To commemorate the event, in collaboration with artist Karen Browning, we publish a brief illustrated excursion into perhaps his most pivotal example of heterotopia: the mirror. pdf 50 years on The heterotopian mirror of enchantment, self-reflection and disruption. Foucault, M. (1984) ‘Des espaces autres’ Architecture, Mouvement, Continuité 5 : 46-49 (originally presented 14 March 1967). 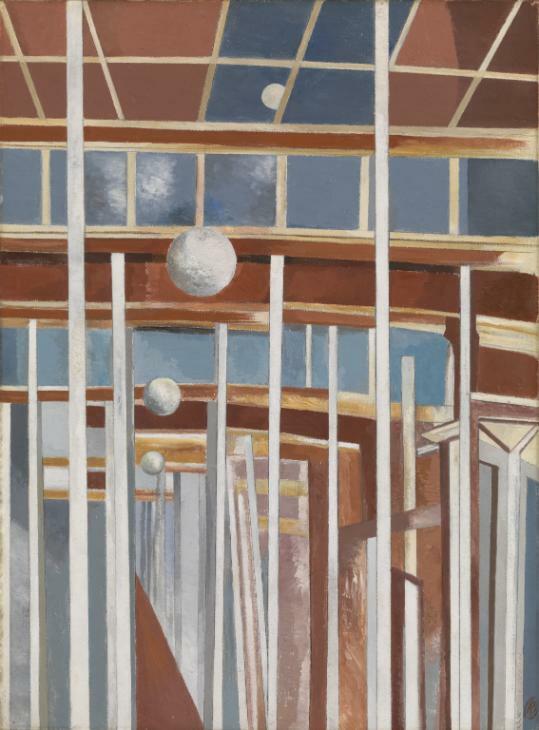 In my research on mirrors, thanks to Judy for sharing this different space by Paul Nash. 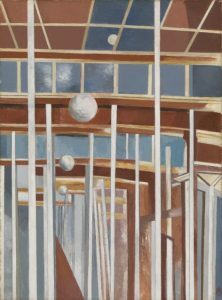 The painting (1934-37) is from a drawing made in Toulon of electric globe ceiling lamps repeatedly reflected in the mirrored walls of a restaurant. I have started a new interdisciplinary research path exploring mirrors and heterotopias. 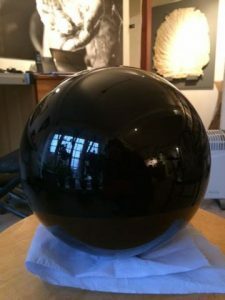 As an object, symbol and metaphor, mirrors have such a rich and varied history – scientific, divine, deceptive, magical, instructive, corruptive, utilitarian, self-reflective, supernatural …. Profound globe that reflections scheme. Is there anything to be serious about beyond this otherness that gets included in the most ordinary forms of daily life…..? Do get in touch if you would like to explore with me Foucault’s tantalisingly brief comments about mirrors and utopias/heterotopias (it’s a massive field). 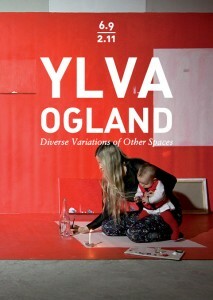 There looks to be a very interesting exhibition at Röda Sten Konsthall (RSK) in Gothenburg: Diverse Variations of Other Spaces by one of Sweden’s most renowned contemporary artists, Ylva Ogland. 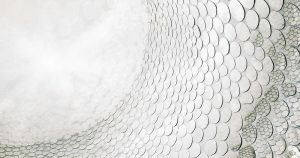 Consisting of more than 75 paintings, various scaled installations and a number of ceremonial acts, the exhibition is the largest and most comprehensive exhibition to date of Ylva Ogland’s collected oeuvre. “The title of the exhibition is composed as a compilation of two influential references in Ylva Ogland’s practice. The first one being Johann Sebastian Bach’s noted piano aria popularly called “The Goldberg Variations” (1741), which explores the complexities of nuanced repetitions. The second one being the French philosopher Michel Foucault’s text “Of Other Spaces: Utopias and Heterotopias” (1967), in which he describes the concept of “heterotopia”. Foucault illustrates his concept in multiple ways. In one example he refers to children’s play, when they invent games. They produce an imaginative space, but at the same time mirror the physical realities around them. A bed can become a boat or a sandbox a whole universe. 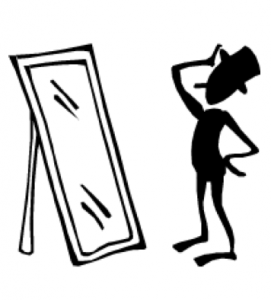 Another of Foucault’s core examples of the heterotopian space is the mirror in itself. In the mirror, you see yourself while you are in fact in another place. By these examples, Foucault highlights the meaning of “heterotopia” as a space of intangible otherness: particular type of space that reflects the slippage between the familiar and the unfamiliar between reality and utopia”. 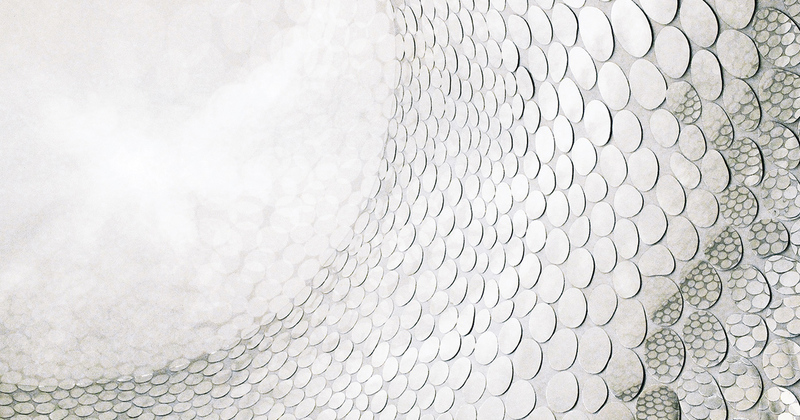 From interview with the artist Dan Graham who creates pavilions and other architectural sculptures – exhibited in many galleries and public spaces. I’m not an architect, but in some ways, whatever comes in, I deal with. So, this is a corporate piece that I think actually works. Instead of just being Hans Haacke-style anti-corporation, in a certain way, it’s subverting through creating a kind of heterotopic situation. For full interview and images click museomagazine. The Courtauld Gallery in London owns Manet’s famous painting that so engaged Foucault. 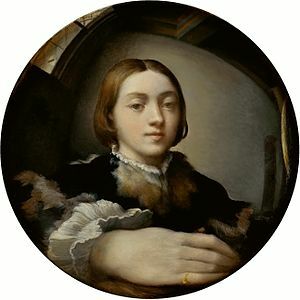 They have a wonderful interactive web page through which you can scroll, enlarge and highlight different aspects of the painting, with background information and much more. 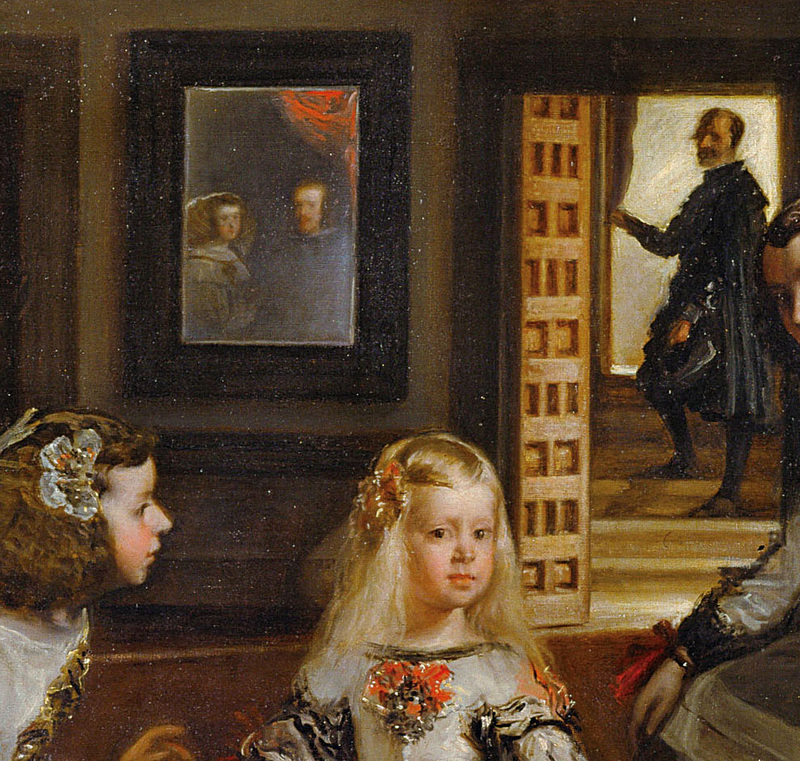 Defert (se below) says that Foucault considered the painting the inverse of Velásquez’s Las Meninas. Foucault also refers back to A Bar at the Folies-Bergère in discussing a painting by Gérard Fromanger and a series of photographs by Duane Michals – all four works by Velásquez, Manet, Fromanger and Michals play with images reflecting in a mirror. Defert, D. (1994) ‘Chronologie’ in Dits et écrits 1954-1975. Paris: Gallimard (49). The puzzling mirror: a placeless place. In recent posts I have mentioned the Norwegian visual artist, Knut Åsdam, whose acclaimed work engages with the notion of heterotopia. His work and writing has encouraged me to look at Dan Graham’s glass/mirror/steel structures and pavilions. In interviews, Dan Graham says that some of his work subverts corporate architecture by ‘creating a kind of heterotopic situation‘. 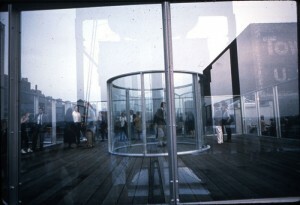 Two-way mirror cylinderi inside cube, 1991, mirrored glass, wood, stainless steel. Following recent mention of David Grahame Shanes’ model of ‘Recombinant Urbanism’, this type of work seems to be exploring, disrupting and undermining ‘enclaves’ as heterotopia. I should have mentioned Boyer’s stimulating paper on Foucault’s various reflections on the utopian and heterotopian features of mirrors. Boyer, M. C. (2008) ‘The many mirrors of Foucault and their architectural reflections’ in M. Dehaene and L. De Cauter (eds. ), Heterotopia and the City, London and New York: Routledge. 53-74. Manning, D. (2008) ‘(Re)visioning Heterotopia: The Function of Mirrors and Reflection in Seventeenth-Century Painting’. Queen’s Journal of Visual & Material Culture. Issue One. Manning draws out further relationships between 17th century painting and heterotopia. I particularly like the way she explains how the paintings play with an ambiguous sense of both isolation and accessibility, which is also a key feature of Foucault’s description of the social and institutional sites of heterotopia as well as the textual sites. Diego Velazquez. Las Meninas (The Maids of Honor), 1656. Oil on canvas, 10’5″ by 9′ Museo del Prado, Madrid. A recent email has prompted me to think again about Foucault’s fascination with mirrors and the links with his concept of heterotopia. 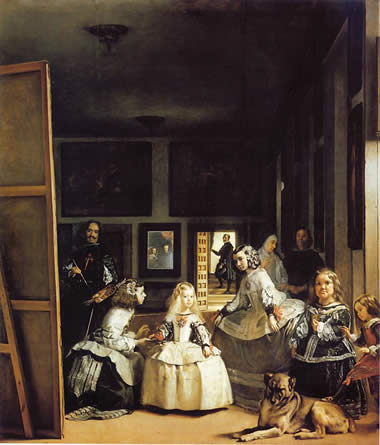 The brief reflection draws upon Foucault’s analysis of Velasquez’s painting Las Meninas in the opening chapter of The Order of Things ; Foucault’s reference to heterotopia in the Preface to that book; his lecture on heterotopias ; and his analysis of Manet’s Un bar aux Folies-Bergère . Put very simply, in The Order of Things, Foucault argues that before the end of the 18th century ‘man’ did not exist. As examples, he details how the Human Sciences had yet to delve into the ‘potency of life, the fecundity of labour and the historical destiny of language’. In other words, at the start of the 19th century, the new ‘sciences’ of biology, political economy and philology transformed notions of Classical representation found in the study of natural history, the analysis of wealth and general grammar. In the first chapter of The Order of Things (following his Preface which introduces the notion of heterotopia), Foucault provides the now famous ‘reading’ of Velasquez’s painting Las Meninas. This chapter illustrates how the painting may form the ‘representation of Classical representation’, an essential void which is far removed from a previous era based on ‘resemblance’, and our later modern era that established the richness, productivity and depth of knowledge about ‘man’– which he mischievously indicates at the end of his book may itself disappear. Such a simple summary does nothing to capture the complexity of Foucault’s argument, but returning to the piece on Las Meninas, it is striking how his deconstruction of the work includes what might be called certain heterotopic aspects centring on the spatial features of mirrors. The mirror represented in Velasquez’s painting is dwelt upon by Foucault but the painting as a whole also involves a complex play of gazes, mirroring and doubling which both reveals and conceals. For example, the painter represented in the painting is somewhere between ‘the visible and the invisible’. Our relationship with the painter’s gaze involves a ‘complex network of uncertainties, exchanges and feints’. The observer and observed take part in a ‘ceaseless exchange’, subject and object reversing their position to’ infinity’. A lit window in the painting opens up a space as manifest as other images in the painting are hidden. The actual mirror in the painting (traditional in Dutch painting of the time) provides a complex duplicating role, repeating the ‘original contents of the picture ‘inside an ‘unreal, modified, contracted, concave space’. Heterotopia, in many different ways, both mirror and disrupt our surrounding space. It is this disruptive element that is the thread that joins the two main accounts of heterotopia: the elusive link between Borges’ radically unsettling heterotopic textual spaces that he introduces in his Preface to The Order of Things  and the various social sites described in his later lecture . The series of spatial incompatibilities in the Manet painting produce for Foucault a feeling simultaneously of ‘enchantment and malaise’. Something similar might be said about our feelings when confronted by heterotopia as a whole: strangely interconnected, troublesome, uneasy and alluring. 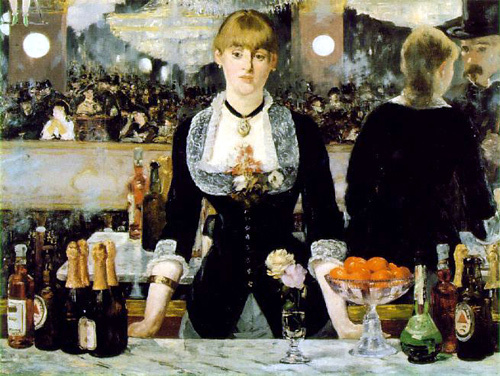 In a lecture on Manet presented in Tunis in 1971, Foucault gives an absorbing account of the painting Un bar aux Folies-Bergère . The famous picture represents a woman with a huge mirror behind her, reflecting her back and the occupants of the bar. Foucault explains how a traditional composition is transformed by Manet into a puzzling series of spatial incompatibilities or distortions. He describes the painting as a ‘place at once empty and occupied’. Most strikingly for Foucault, the place of the viewer is undermined as ‘Manet plays with the picture’s property of being not in the least a normative space whereby the representation fixes us ……. to a unique point from which to look’. Overall in the lecture on Manet, he argues that the painter produced disturbing ‘object-paintings’ that anticipated not only impressionism but also more significantly non-representative art, focusing entirely on the play of ‘material properties’. There is a wonderful exhibition of Manet’s paintings at the Royal Academy in London, open until mid April – book early if you are near! Foucault, M. (2009)  Manet and the Object of Painting, translated M. Barr, London: Tate Publishing. I have been directed to another article that re-imagines heterotopia. Diego Velazquez. Las Meninas (The Maids of Honor), 1656. Oil on canvas, 10'5" by 9' Museo del Prado, Madrid.